India’s and Asia’s no.1 DTH player at point of inflexion as India’s cable and satellite market is undergoing a paradigm shift from analog to digital and it’s a great opportunity for DTH players to capture a significant share from local cable operators by offering a customised product plans at different price points. The main beneficiaries in our opinion in this transition will be those DTH companies which has pan India distribution network. Dish TV with network of over 114,000 dealers located across 8,500+ towns in India and is well poised to make most of the opportunity in coming days. EBITDA for the company is expected to increase significantly by FY14 due to strong subscriber base growth and higher ARPUs and therefore is a strong BUY. MOIL LIMITED has come with public offering of 33,600,000 equity shares of face value of Rs.10 each (the “equity shares”) at a price band of Rs.340 to Rs.375.Credit Analysis and Research Limited ("CARE"), has assigned a "CARE IPO Grade 5" to the proposed Issue, indicating above average fundamentals. COX AND KINGS (INDIA) LIMITED has come with public issue of 18,496,640equity shares of Rs.10 each with a price band: Rs.316 to Rs.330 per equity share of face value Rs.10 each. Credit Analysis and Research Limited ("CARE"), has assigned a "CARE IPO Grade 4" to the proposed Issue, indicating above average fundamentals. Pipavav Shipyard Limited (PSL) has come with public issue of 85,450,225 equity shares of Rs.10 each with a price band: Rs.55 to Rs.60 per equity share of face value Rs.10 each. Credit Analysis and Research Limited ("CARE"), has assigned a "CARE IPO Grade 3" to the proposed Issue, indicating average fundamentals. OIL INDIA LIMITED (OIL) has come with a Public Issue of 26,449,982 equity shares with a price band: Rs.950 to Rs.1,050 per equity share of face value Rs. 10 each. This Issue has been graded by CRISIL Limited and has been assigned a grade of 4/5. Equity Shares outstanding post the Issue will be 240,454,382 Equity Shares. The objective of the Issue is to achieve the benefits of listing and to fund requirements for fiscal 2010 and 2011 towards (a) exploration and appraisal activities; (b) development activities in producing fields; and (c) purchase of capital equipments and contracts for facilities. 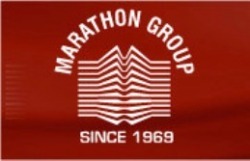 Marathon Nextgen Realty Ltd (Scrip Code: 503101) is a part of Marathon Group a Mumbai based real estate developer. Over the period of time, the group is venturing in to newer areas: Special Economic Zones, townships, infrastructure development, entertainment and leisure, education, hospitality and the capital markets. Marathon Nextgen Realty Ltd has come up with solid Q1 2010 results. The company has announced its Q1 2010 results on 27th Jul 2009. The Net Sales has increased to Rs.430.87 million for the June quarter from Rs.215.1 million a year ago. The Net profit has increased to Rs.302.3 million from Rs.52.83 million a year ago. Yogesh Z: I am an MBA finance professional and currently working for financial services boutique firm. I am an investor in the Indian Stock Market for more than 8 yrs. This is not a recommendation of any order to buy or sell. Investment decisions made on information mentioned on this website would be at your own risk and I assume no responsibility for any opinion or statement made in this place. The financial numbers given at this place is based on information obtained from public sources and sources believed to be reliable, but no independent verification has been made nor is its accuracy or completeness guaranteed. Actual results may differ materially from those set forth in projections. Investors are advised to consult their financial advisor before buying or selling security.